A potent herb native to the Mediterranean, rosemary has been used for centuries to season food, as a medicine, and even as an ornamental plant. Rosemary grows as a woody little shrub, similar to thyme, but with longer needle like leaves, and thicker stems. The most common variety of rosemary (Rosmarinus officinalis), is easily grown at home during summer, in most herb and vegetable gardens. It’s makes an attractive ornamental plant with purple little flowers that bees and other insects love. Rosemary can be grown in a traditional garden setting or in containers. An easy to grow herb that can be grown in zones 1 – 10, rosemary is only really hardy to zone 9 and will usually die in temperatures under 30F. Arp – A variety specifically bred to be cold hardy to zone 6, it boasts light green leaves, with blue flowers in late spring/early summer. It can reach 36 -48 inches in height. Benenden Blue – A dense growing variety, with deep blue flowers and dark green narrow leaves, ‘benenden blue’ is ideally suited to growing in containers. Tuscan Blue – Hardy to zone 8 and with a traditional upright form, ‘tuscan blue’ is perfect for culinary use. It’s aromatic, dark green leaves grow in thick stems and flowers are clear blue in spring/summer. While rosemary can be grown from seed, it will take at least a year before you can begin harvesting. 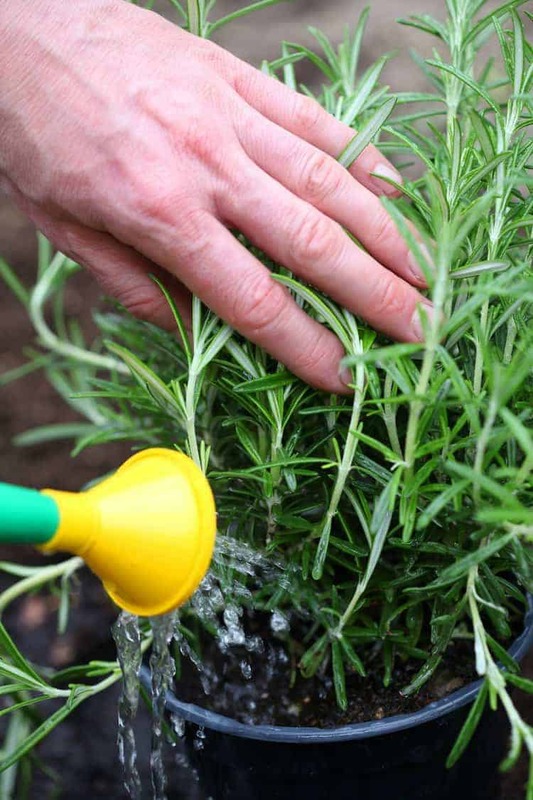 Most nurseries propagate rosemary from cuttings, as it’s faster and easier. To grow rosemary from seed, plant more seeds then you want plants, as the seeds are very slow to germinate, and the seedlings can be fickle. Start the seeds 8 – 10 weeks indoors before the last frost. Sow the seeds barely covered, and avoid over watering at all costs. Seeds should sprout in 14 to 25 days. Once seedlings have sprouted, provide a warm, sunny location. 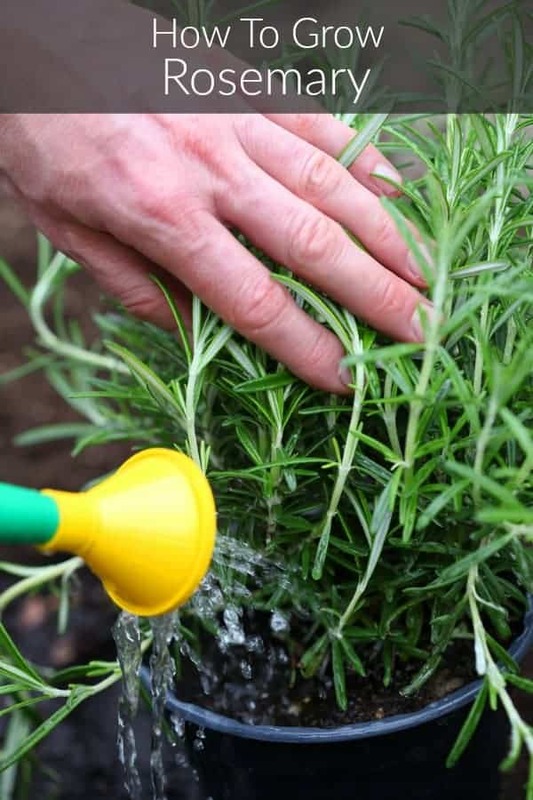 Keep the soil moist, but not wet, as rosemary does not like wet soil. Keep rosemary seedlings in pots for the first year to allow them to mature, and make care easier. If growing in cold climates, you must bring the pots in for winter, and provide ample protection from the cold. To grow rosemary from a cutting, snip a mature 3″ -5″ rosemary stem from an established plant just underneath a leaf node. Remove the bottom inch of leaves, and dip the cut end into rooting hormone to help ensure success. ‘Plant’ the prepared cutting in moist loamy, garden soil (ideally in a container). Cover the pot with a clear plastic bag or sheet to help retain moisture and prevent over watering. Keep in a warm shaded area until you begin to notice new growth. 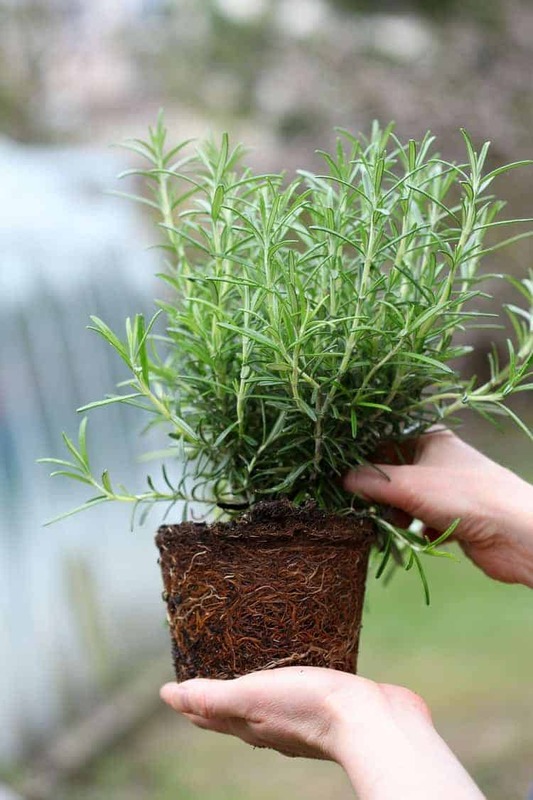 Rosemary can be transplanted out into a well draining, sunny location (8 hours +) in the garden once the plant/seedlings are well established. Rosemary is especially well suited to growing in planters and pots, as they provide easy drainage. Rosemary is not fussy and doesn’t need a lot of attention to do well. Preferring light, loamy soils that are well draining and range from neutral to alkaline, Rosemary does best in warm, sunny weather. Provide at the very least 6 hours of sunlight for it to do well. I like to mulch my rosemary plants with straw to encourage moisture retention and prevent over watering. Water once a week on hot days, or when the soil at the base if the plant is completely dry 1 inch down. Allow the soil to dry out in between watering. Rosemary is drought tolerant and does better in drier soil then soil that is always wet. Rosemary needs to be pruned every so often to keep it healthy, and prevent it from becoming sparse. Regular trimming will encourage dense growth, making rosemary ideal for use as a culinary herb, as you will likely have lots of fresh rosemary to use up! Make cuts right above a leaf joint using a sharp knife or scissors. Using a good quality garden knife or scissors is helpful as it prevents crushing and damaging the plant. Harvest the youngest stems for the most flavor and tender herb. You can also pull a few leaves right off the stem if you only need a little. Never harvest or trim more then 1/3 of the plant to allow it to regenerate and fill back in properly. Rosemary flowers are edible, and can be harvested to be used as a garnish or when making tea. Fresh rosemary will keep well in the fridge if bunched together and kept in a small baggy. Unlike thyme and other herbs that do well when kept in water, rosemary doesn’t keep that well when set in water. It’s better to harvest or trim rosemary as needed directly from the plant. If you have to, rosemary does dry very well, and is great for infusing into oils and vinegar’s. To dry fresh rosemary, harvest 10 to 12 stems from an established plant. Bunch the stems together and tie them with a little string, or rubber band. Hang the bunched rosemary upside down in a cool dark location until fully dry. Store the dried leaves in a small glass jar to preserve its freshness. 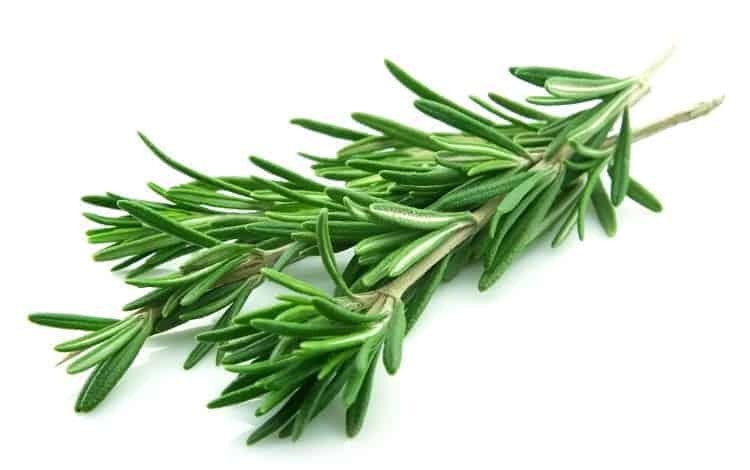 Due to it’s potent nature, rosemary is very well suited to flavoring oils and vinegar’s. These are then used in salad dressings, and marinades to impart rosemary flavor. 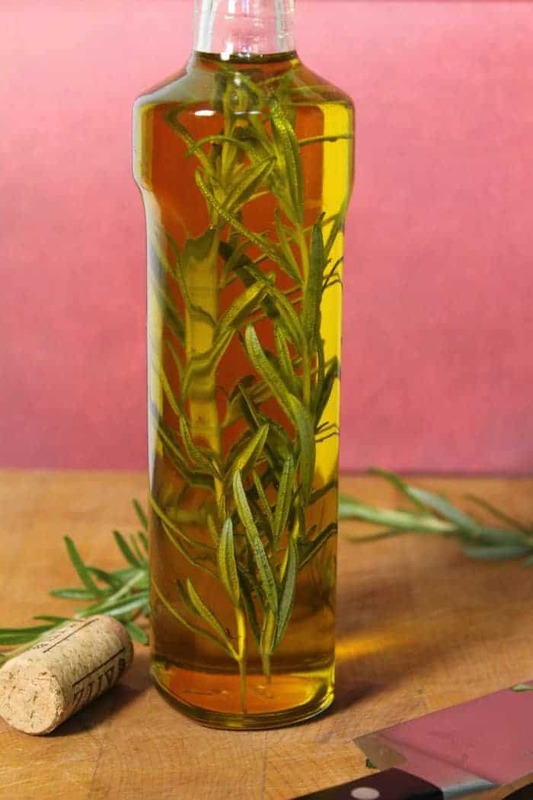 To infuse rosemary into oil , harvest a few stems of rosemary, then wash and dry it. Place the washed herb in a glass jar or bottle and cover fully with a good quality oil or vinegar. Store in a cool, dark location for a least a week before using. Often believed to help improve digestion and blood circulation, rosemary pairs very well with rich hearty dishes such as roasts, lamb, chicken, and stews. 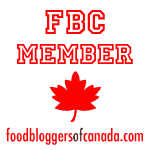 Soups, salads, and various dressings and marinades can all incorporate rosemary though. Try pairing rosemary with citrus, fish, roasted potatoes, or baking with it!! 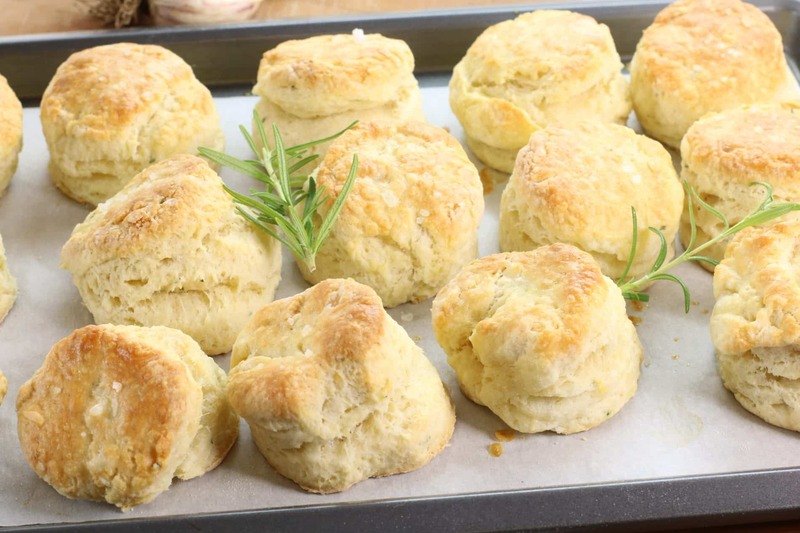 A little chopped rosemary added to homemade biscuits or a loaf of bread adds a delicious earthy-ness! When using chopped fresh rosemary, remove the leaves from the stem if at all possible as the stem is very hard and woody, not very nice to chew on! You can use whole sprigs of rosemary to season soups, stews, braised meats etc if you plan on removing the stem prior to serving the food.